SynFoam has long been the choice of material for manufactures of underwater vehicles, including ROV's, AUV's, and HOV's. SynFoam has been carefully formulated to provide the most dependable performance to enable deep water exploration, providing subsea buoyancy and the necessary uplift for various underwater vehicles and components. 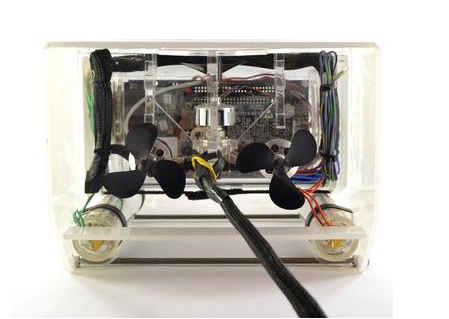 The lightweight nature of SynFoam will permit a vehicle or other assembly to remain remain neutrally buoyant for the duration of an underwater mission. SynFoam is resistant to water ingress from hydrostatic pressure and has a crush point that provides a safety factor to allow any equipment to safely rise to the surface for recovery following the completion of a project. SynFoam for subsea buoyancy is typically sold as pre-cast blocks that measure 6 x 12 x 24 inches. Though SynFoam is easily machined, many customers rely on us for the complete assembly of the required buoyancy module. Complete assembly includes the bonding together of material to form large structures, machining the finished product to customer's specifications, adding in required hardware and inserts, and finally adding a protective skin and coating to increase the durability and cosmetic appeal of a final part. SynFoam HP ranges in density from 24 to 32 pcf and is typically used for subsea applications at depths between 1,000 and 4,000 meters. HP grade SynFoam provides the lowest possible weight of all subsea grades foams and has succesfully been used to develop ROV's and as support for nuclear class submarines. SynFoam DW provides the highest strength to weight performance of any subsea grade of syntactic foam. Used for deep sea missions where the need for increased payloads and safety factors are of the ultimate importance. The density range of the DW series begins at 31 pcf, which is used for missions up to 5,000 meters. DW grades can be used for full exploration of the ocean. 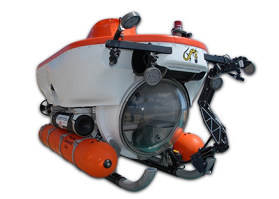 DW had been used in 5 and 6K ROV's as well as research vehicles used for deep water exploration. SynFoam MW provides a high strength to weight ratio for demanding subsea applications. MW grade SynFoam is more economical than DW and is an excellent choice when the end user can use a slightly heavier syntactic to meet the project needs. MW has been used in 5 and 6K ROV's. SynFoam SG is a microsphere based castable syntactic foam that is ideal for use in small scale projects where the cost of machining is impractical. SG syntactic foam is supplied as a two component system that can be mixed and poured into complex shapes. 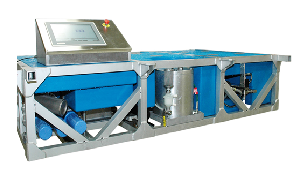 Waste is eliminated and the surface quality is typically excellent. SG has been used in many small scale ROV's as well as in the manufacture of identification tags for various forms of aquatic life. SynFoam SW is a closed cell, microsphere based syntactic foam that is ideal for use in projects that will explore up to 1,000m in ocean depths. Ranging in density from 6 to 18 pcf, SynFoam SW is a higher performing alternative to tradition polyurethane and PVC blown foams used for these applications. SynFoam SW is chemical resistant and will bring a higher strength and modulus compared to other products. 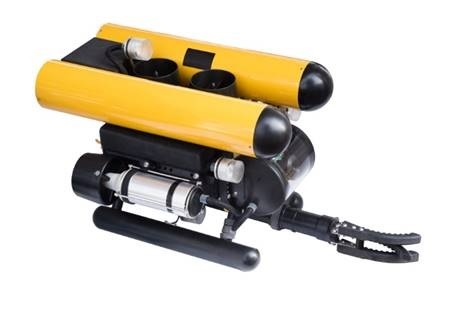 SynFoam SW has been used in the manufacture of AUV's and research grade ROV's.